With custom CNC milling, you can produce a vast array of finished products. This machine follows steps based on digitized codes entered into a computer program by a trained operator. Because milling is similar to drilling and cutting, it can achieve an impressive list of accomplishments. Read more! When trying to enhance and streamline your manufacturing process, you have to consider multiple factors. As a prime example, for custom CNC milling, you should rely on a reputable fabrication company to handle the job on your behalf. Not only will that save you time, but it will ultimately save you money. Read more! 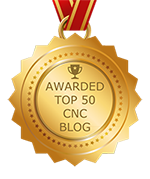 If you have ever had parts or components CNC milled, you probably have a good understanding of the process. However, unless you have had custom products manufactured, you may not be aware of everything that goes hand-in-hand with custom CNC milling. There are several key benefits to customization that you may not know about that could be helpful in your decision-making process. Read more!